By Humza Mehbub in Mobile. Updated on March 30, 2018 . If you own a smartphone, chances are you have a favorite game on it, one that you use to kill time on queues, or while you commute. 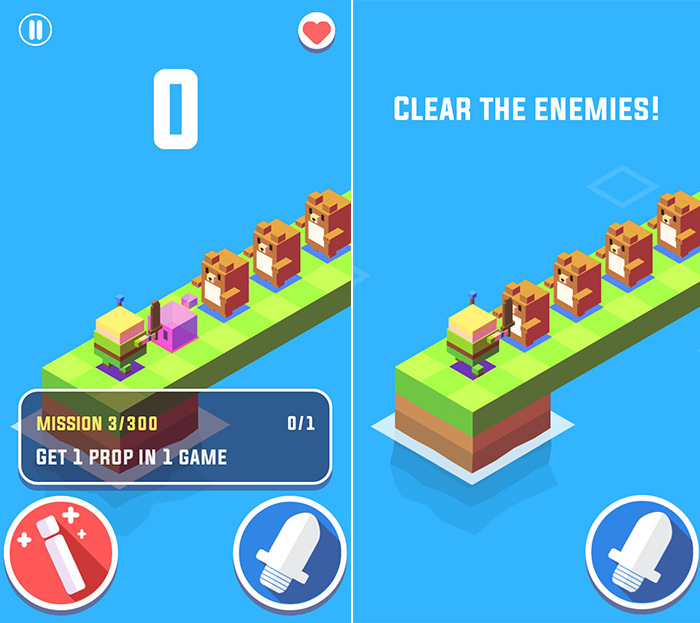 It could be an indie game that blows away mainstream competition, or a minimalistic game with easy gameplay and rules. 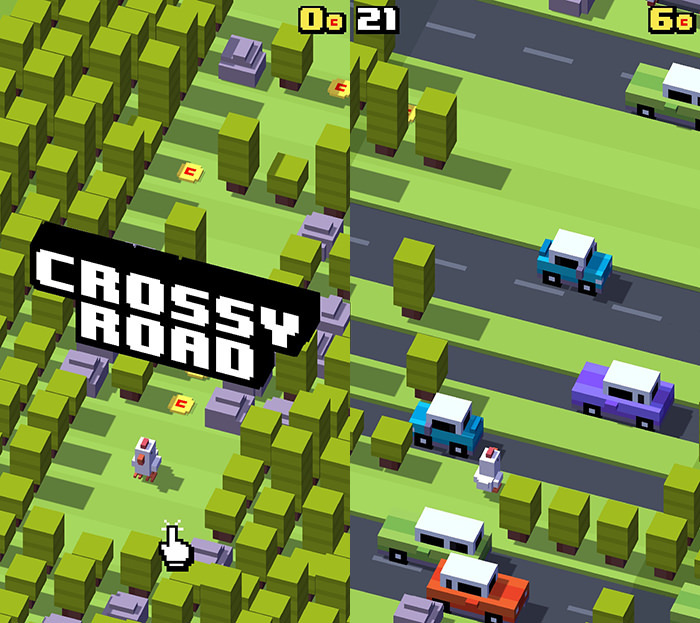 In fact, mobile gaming is a very big part of a mobile user’s life – whether we admit it or not. 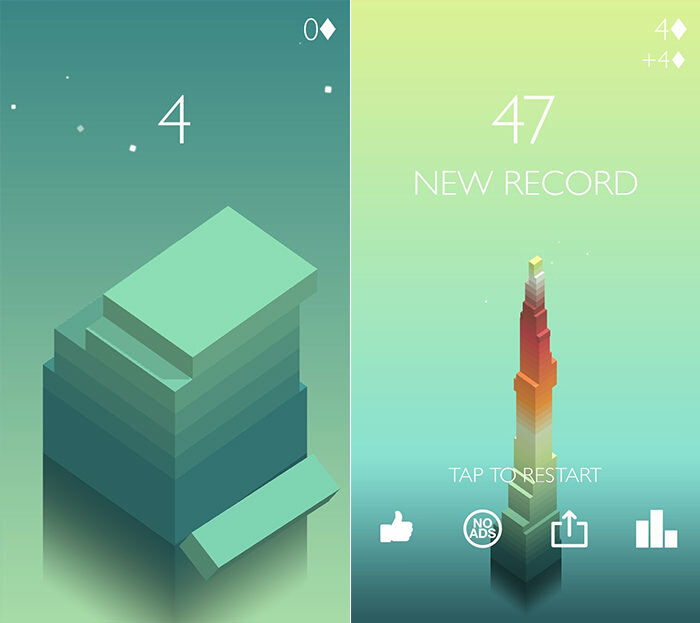 This post however looks into the aesthetic aspects of iOS games. Herein lies 30 games that are turning heads because of their stunning, vibrant colors, adorable gameplay and characters while still keeping you tapping and away in addicted glee. All these games are free to download and play, just follow the links to get them on your iPhone or iPad. 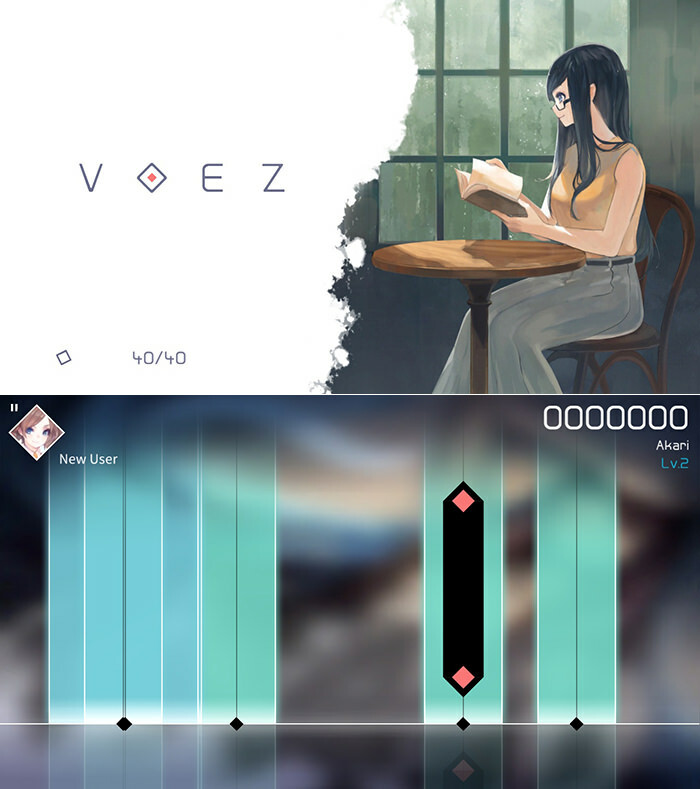 If you love Guitar Hero, or Piano Master, VOEZ is definitely one game you should give a try. The anime-styled artwork with dreamy animations, coupled with user-friendly and soothing colored elements, plus some cool Japanese anime music in the background, will ensure that you remain captivated by this beautiful game. 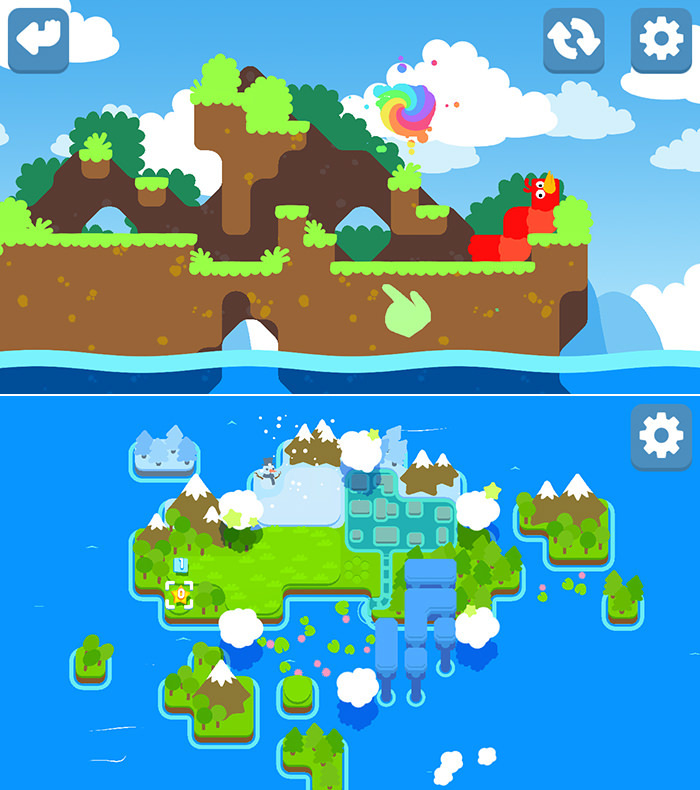 In Jelly Jump, the beautifully simplistic background changes colours as you progress through levels. All the colors adopted are neutral, pleasing to the eyes. 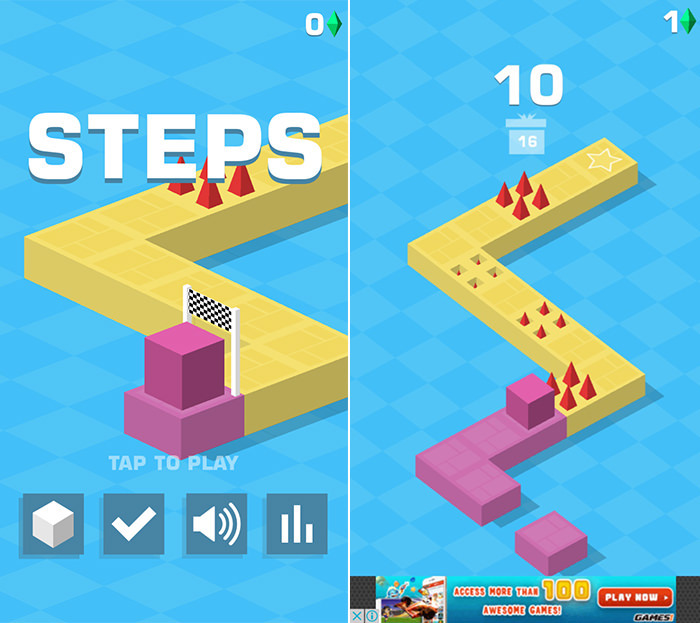 At times, after a good game, you might be tempted to take a break from playing just to admire the designed realm of Jelly Jump. 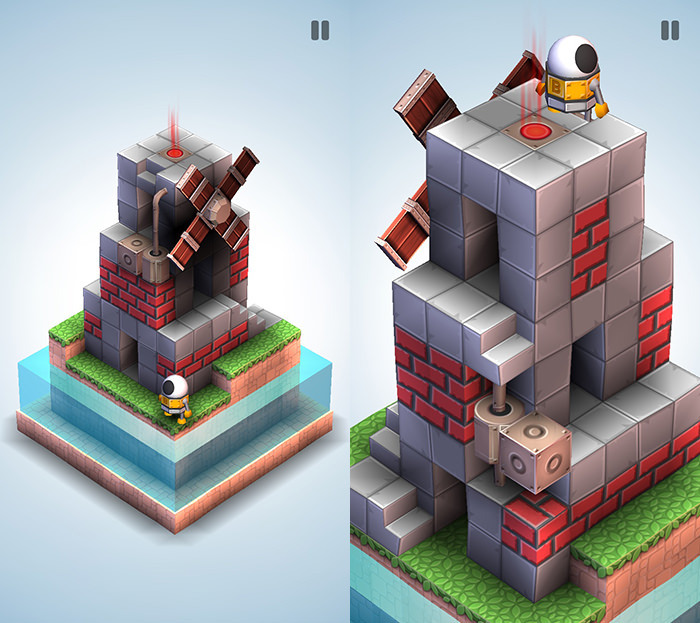 Stack has to be one of the most stylish and aesthetically pleasing Tower game I have played in a long time. The higher your tower goes, the more the colors change; the changing of the colors is gradual and if you ever fail, you get to admire the beautiful hues of the tower you just made in all its glory. 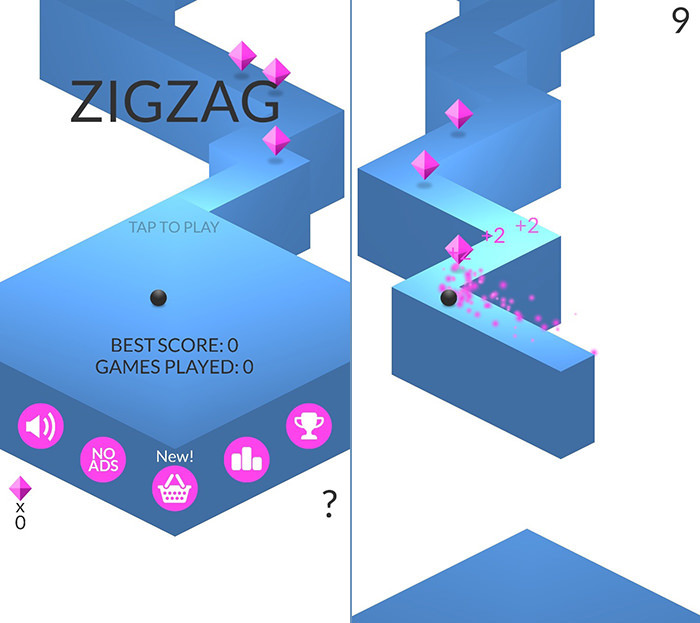 The gameplay consists of you floating through space and using a metal ball to crush incoming obstacles. As you advance through the levels the more intricate the levels become, all the while, changing colors from a blue tint to a more reddish tone. Word of advice, this game is certainly addictive. Here’s a a minimalistic game that falls back on perfectly combined color schemes to attract attention of players. 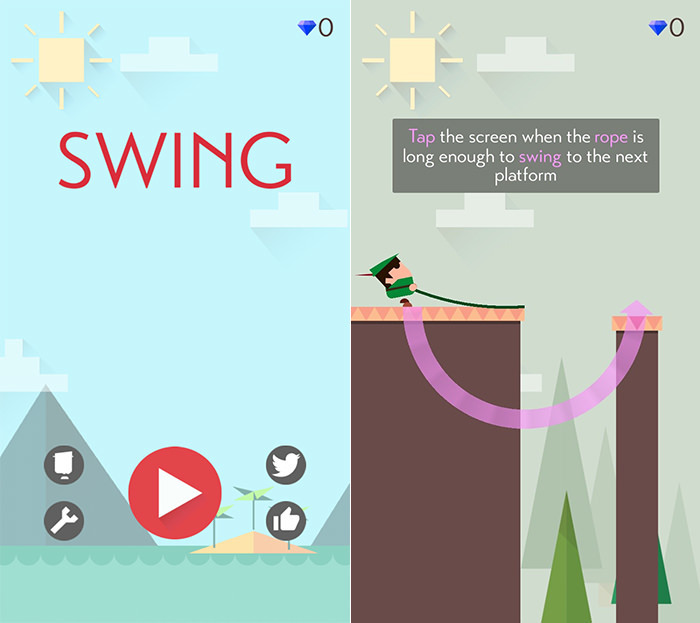 Keep the ball in the path and tap the screen to change directions, and just don’t fall off! There is however one pressing complaint, that is the annoying ads that pop up in the middle of gameplay. 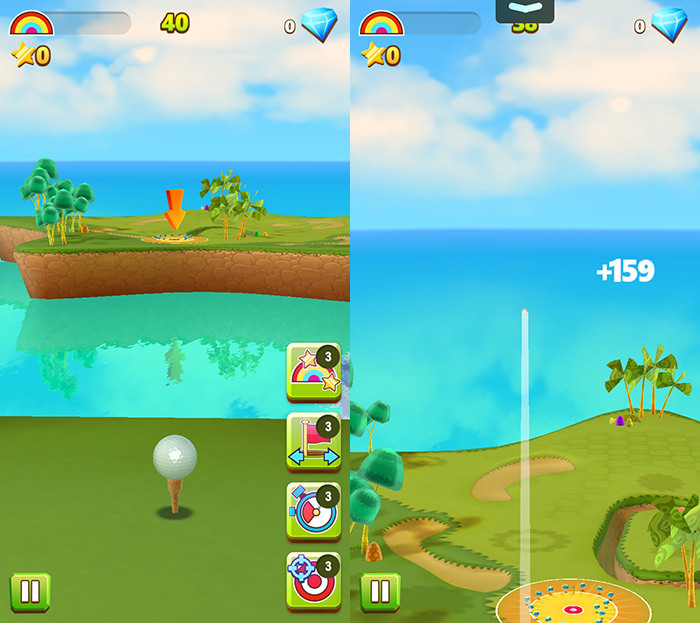 A simple golf game, with beautifully created environments and golf courses (cartoon styled) that ensure that you can sit back, relax and enjoy a game of golf on your iOS device. The vivid multi-colored environments are a great sight to see, and visually pleasing especially on a rainy day (when everything else is gloomy). For a game with a pixelated environment, the design on this game is very much refined and it looks brilliant on an iOS screen (especially on a Retina iPhone). The graphics are designed in neutrally matching color combinations and you get to see how beautiful pixels can be when they are not being used for censorship. 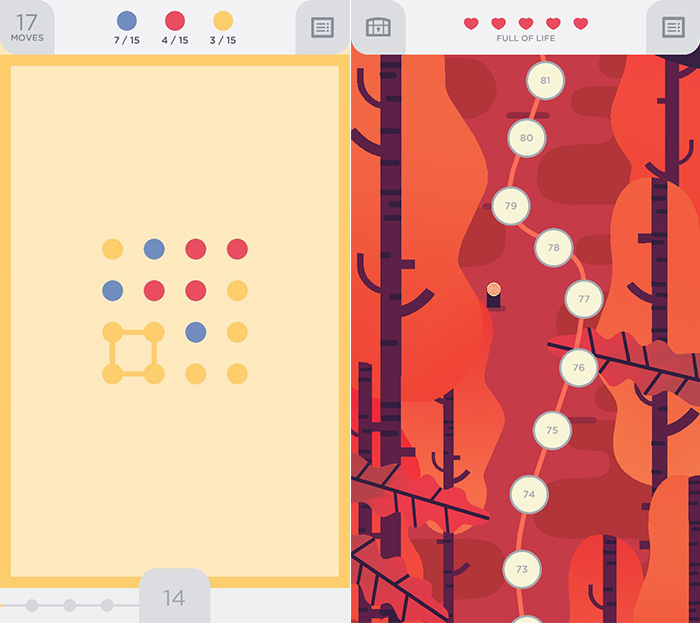 The simplistic selection of colored dots; along with an impressive stage-level screen that spans to around 500+ levels, Two Dots is one of the best aesthetically pleasing game out there. Time to start connecting dots. Mekorama stands out as a visually appealing game because of two reasons: firstly, the game follows a minimalistic, yet carefully detailed graphic levels which you can both zoom in/out of. Secondly, each and every level is like a tiny island swimming in the emptiness of a neutral color, which ensures that the level as a whole stands out. This game is square, in a very good way. Each and every level is beautifully created, with different sets of hues and contrasts. Furthermore, polygon graphics always tend to look sharp and crispy ensuring a perfect visual appeal. 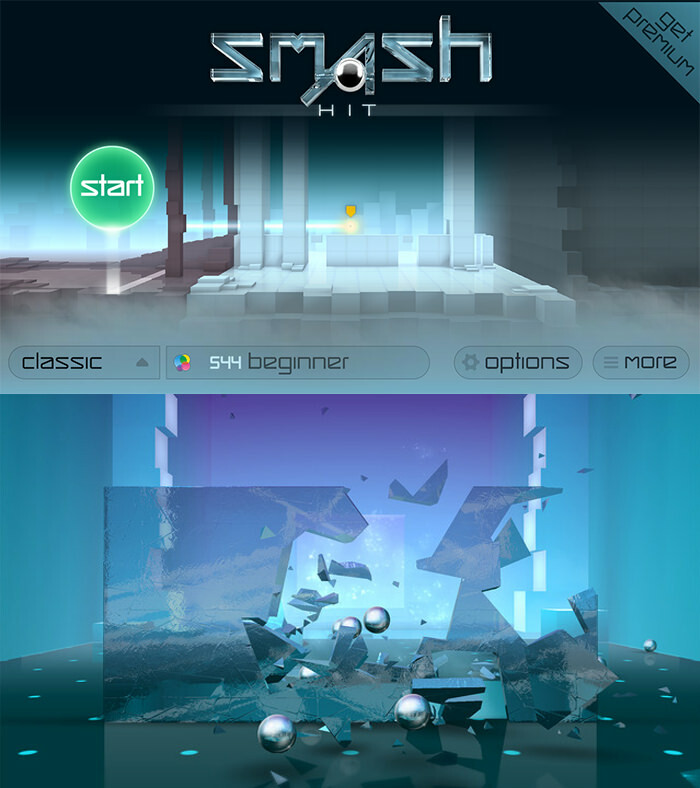 The aesthetic appeal of this game can be seen in both the gameplay and the music. A different colored polygon spins around while you shoot and carve it (each laser setting a different colored layer on the polygon to show you what you have completed). 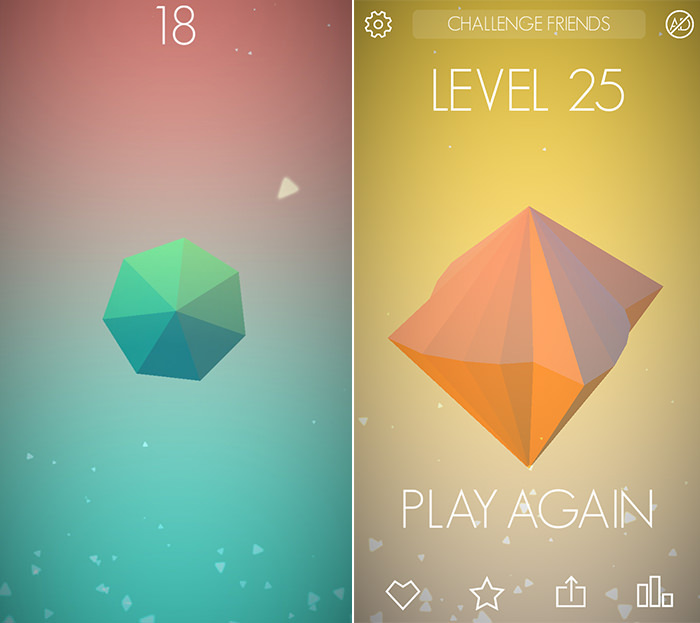 As levels progress, the color of the polygon and its shape change. 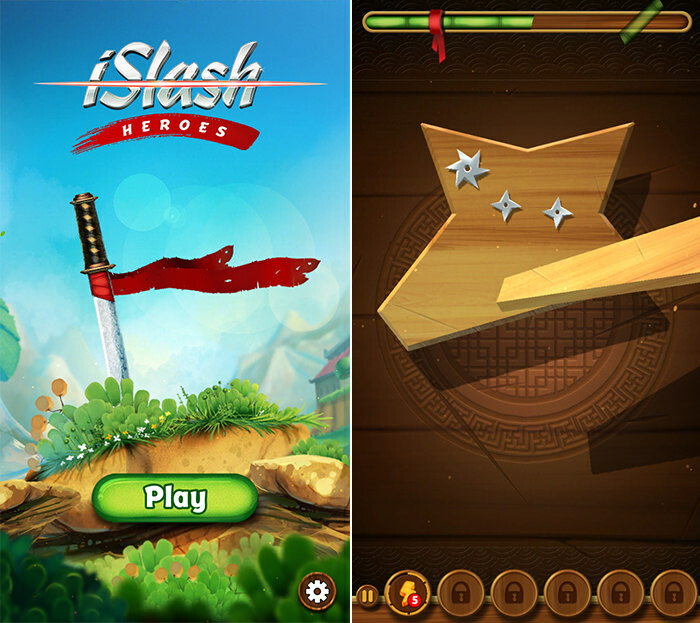 By using simple graphics, and some neat visual tricks, such as when you slash the boards, iSlash Heroes ensures that you play the game in the ninja way. There are different colored boards and levels to ensure it does not get monotonous. 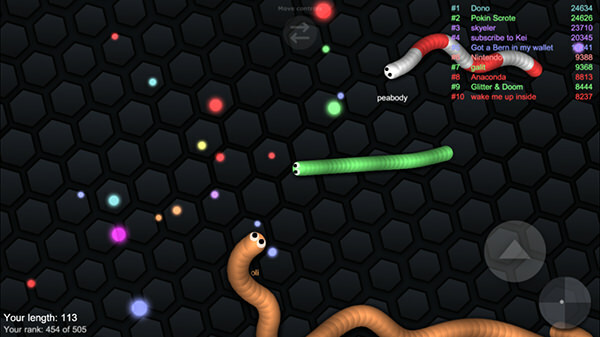 Slither is the much advanced, and visually appealing version of the old Snake game we had on old Nokia phones. With colorful orbs floating around and a simple yet attractive background, you never get bored. Moreover, if you manage to trap a snake, or if the snake hits you on the body, it disintegrates into a colorful trail of orbs that it previously ate. 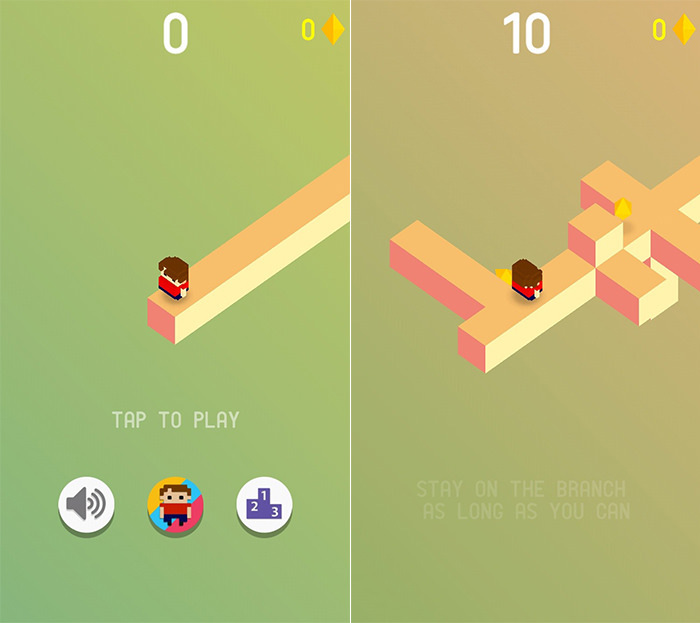 Presenting various levels, with polygon graphics and visually attractive, yet minimalistic environments, Mr Jump will ensure your taste for platform games do not go unquenched. 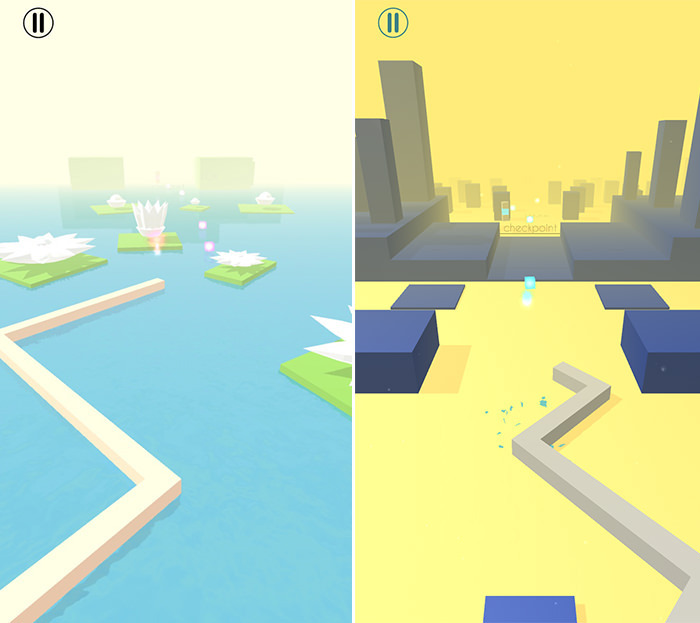 Mr Jump goes through various environments, from wintry and icy landscapes to luscious forests. 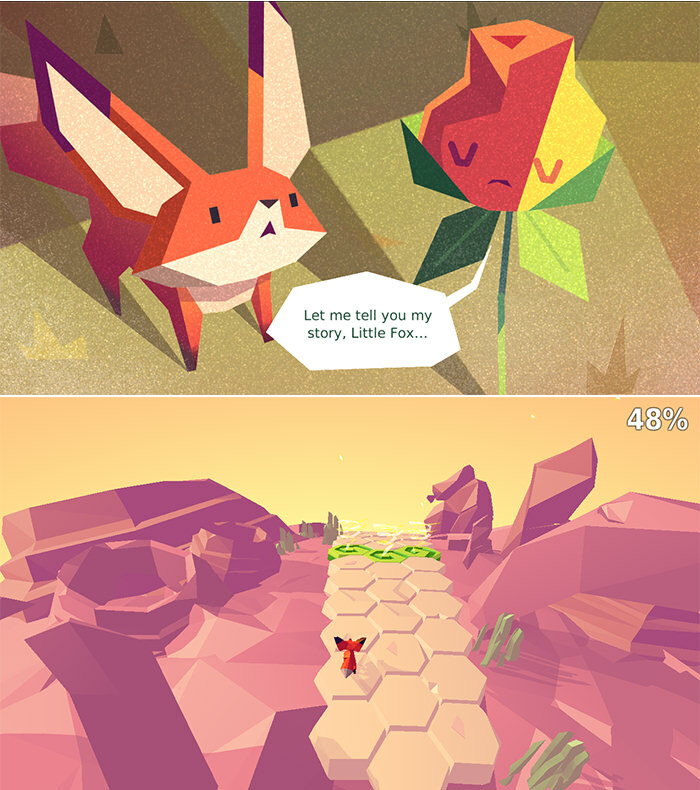 The Little Fox is a stunning magical, fairytale of a little fox and his adventure in an alternative perspective on the world. The low-polygraph environments are carefully panned out and each and every different level is set in a different scene, which ensures diversity to the aesthetics of the game. This game has some seriously cool polygonic visuals. Each and every level is carefully planned out, with simple objects and environments, yet each and every level is unique in its own way and remains visually attractive and appealing due to the contrasting objects. 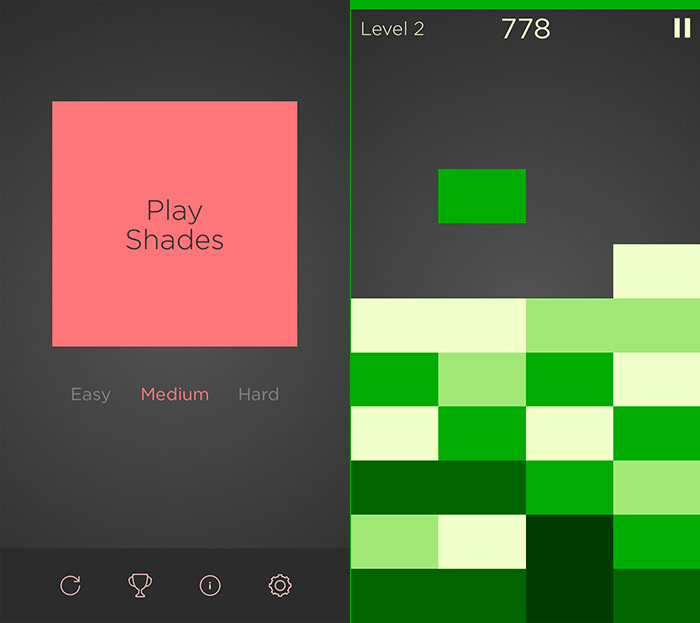 Shades is Tetris with a colorrific twist. Each level is dominated by a single colour, but as you lay the same color bricks on top of each other or horizontally (4 in a row), they merge together and become a darker colour of it. This continues until the darkest colour is reached and the tile gets wiped off the floor. 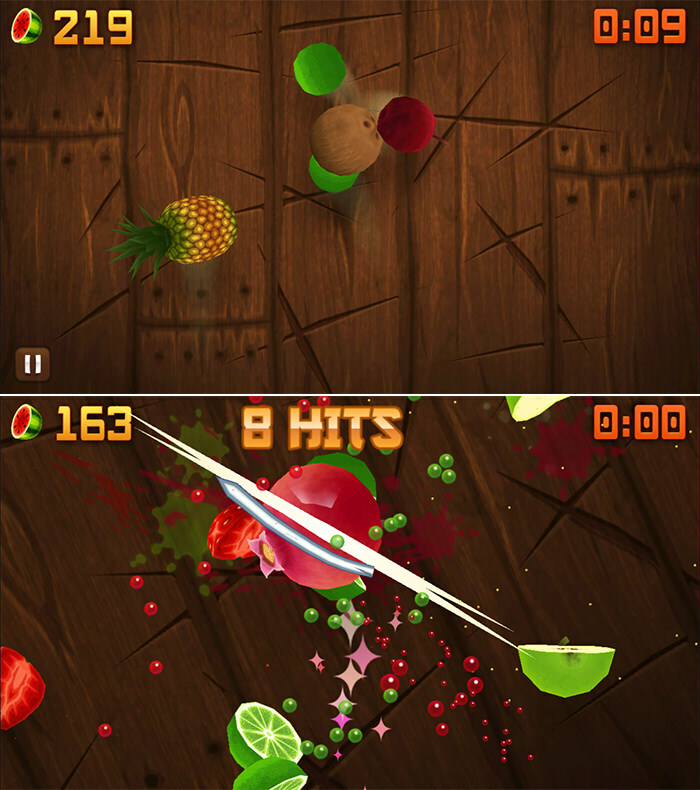 Fruit Ninja is perfect for the passive aggressive soul who needs an outlet to unleash their anger into the gaming world. Either that or they have a vendetta against somewhat geometric fruit. Each and every slash looks so satisfying especially with its sound effects. Peas and plants versus the living dead, Plants versus Zombies 2 is a gaming marvel that keeps players wanting more. 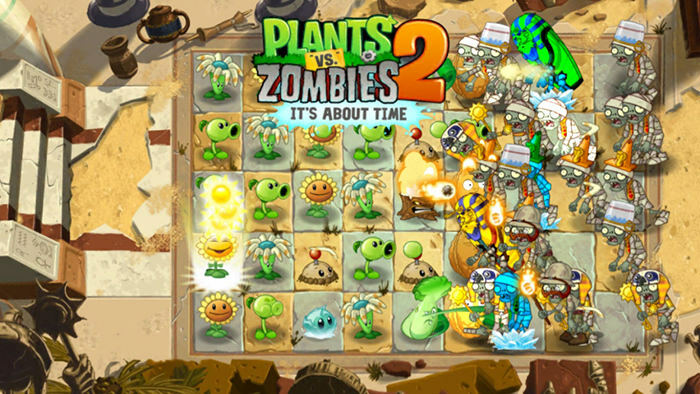 While the visual design for part 2 got an upgrade from the original version, players still pit their favorite pea plants against them crazy brain-seeking zombies. 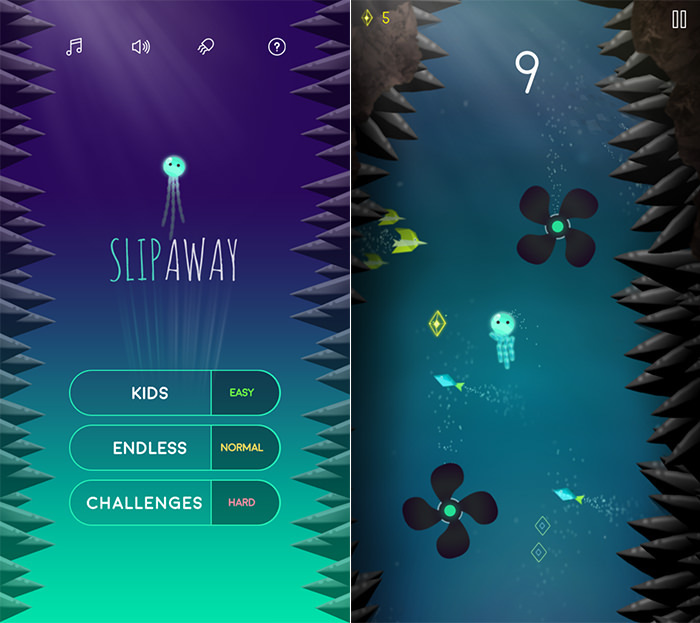 As with most other games featured in the list, this game is a beautiful combination of great visuals and music, so, if you do want to play it, grab a pair of headphones and lose yourself in the beautiful underwater world of Slip Away. 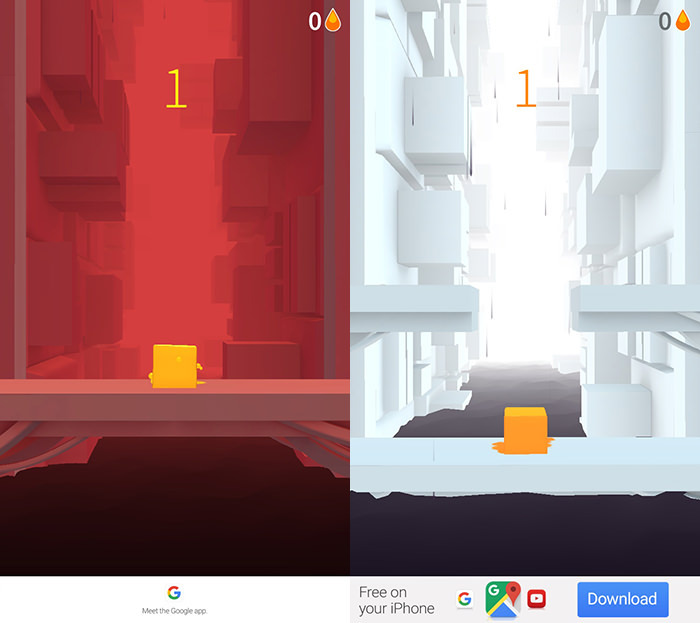 As the name suggests, the game is from the same franchise of the "Dots" series, with the Two Dots game being a prequel to this game. 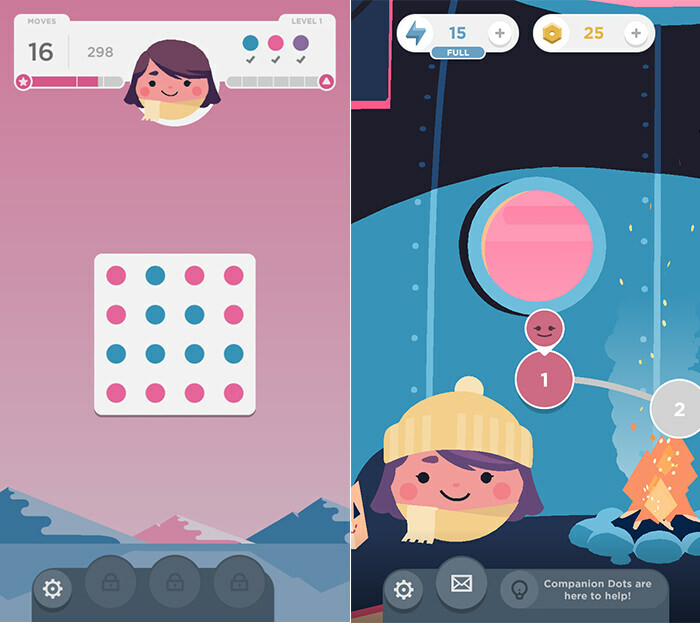 Dots & Co, the sequel, follows the same gameplay, but comes packed with a tranquil and beautifully captivating scenes to ensure that there is not a level where you get bored. The colors of the Caribbean, Snakebird promises to be a visually attractive game right from the very beginning. This is another game to kill your boredom and gloomy days with the vivid graphics that will add some "sugary rush" to your retinas. A sea of blue, a dab of yellow and a colorful slab of brick that is just rolling forward and spreading its color. That is the combination that Steps employs to ensure a simple and yet appealing gameplay. 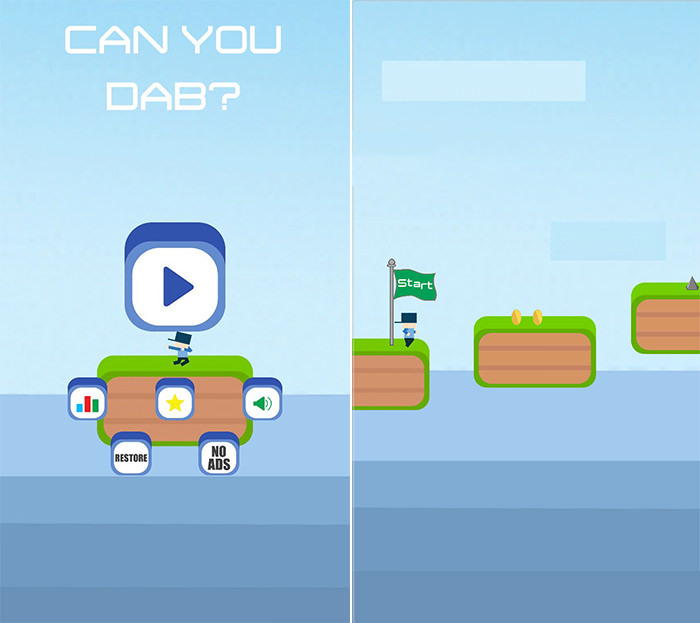 Treasuring itself by using as minimum graphics and visuals as possible and focusing on the simple gameplay, Can You Dab? makes sure that its simplicity turns out to be its best feature. The lack of distractions and neutral colors for the eyes allow every person to enjoy the game and appreciate the simple-design levels. 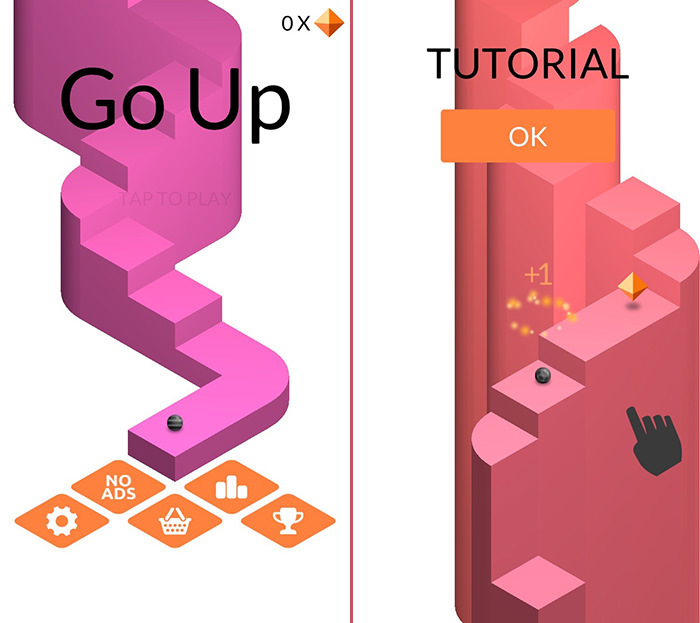 The reason Go Up is so appealing is because it uses simplistic graphics, a white background and different and contrasting colored elements to make the level stand out. While your ball may be black, the level may be green with red orbs, and so on and so forth. 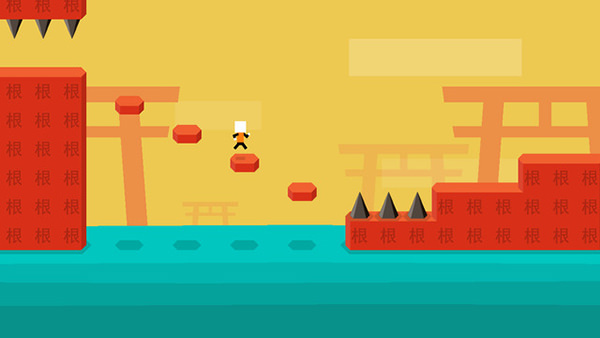 Swing across a dreamy realm with your tiny little hero, clad in a (possibly)black ninja suit and red bandana, as the beautiful backdrop provides cover for an addictive gameplay. 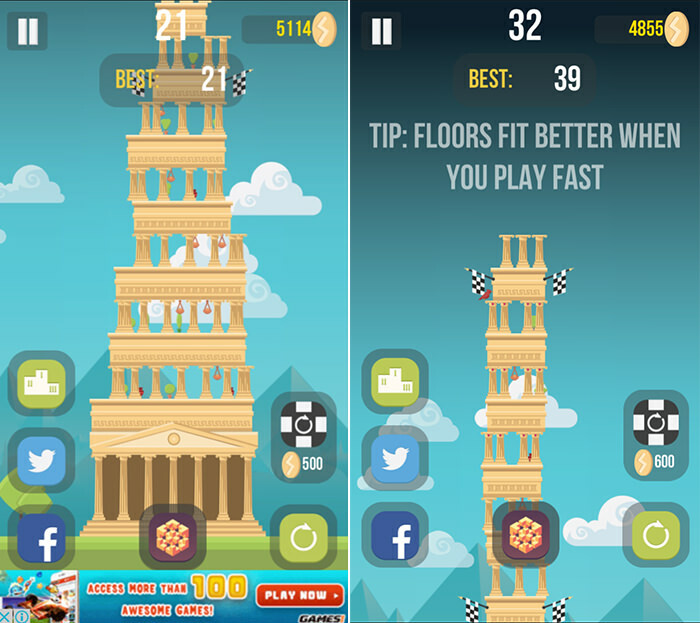 The Tower is more of a visually enhanced version of "Stacks". With building parts that reflect Roman architecture, you pile these pieces up to reach level-specific goals. Watch your balance as you stack. Using polygon graphics which are crisp and clear on the iPhone’s Retina display along with minimalistic graphics and neat and soothing color combinations makes The Branch stand out every time. 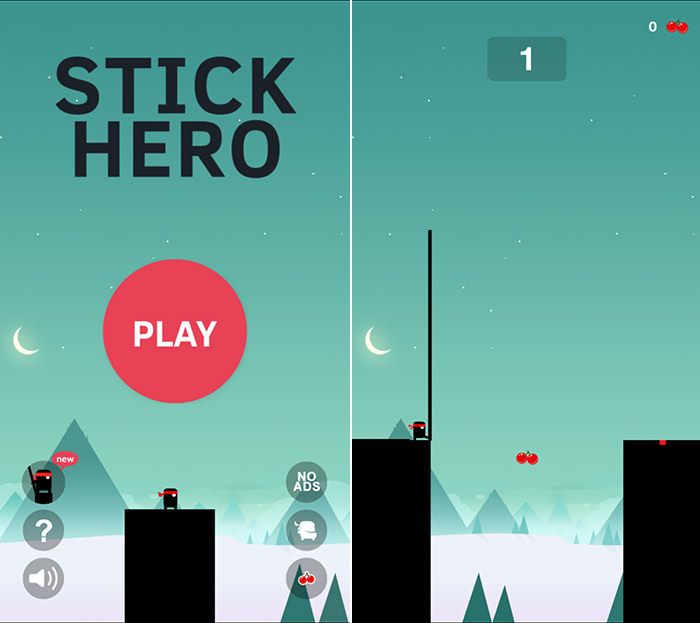 An eco-friendlier version of the Stick Heroes game, this game uses more "environmental" colors to appeal to its peers and the simplistic graphics of the character and scenery ensures it all comes together coherently and make a fine-looking game. 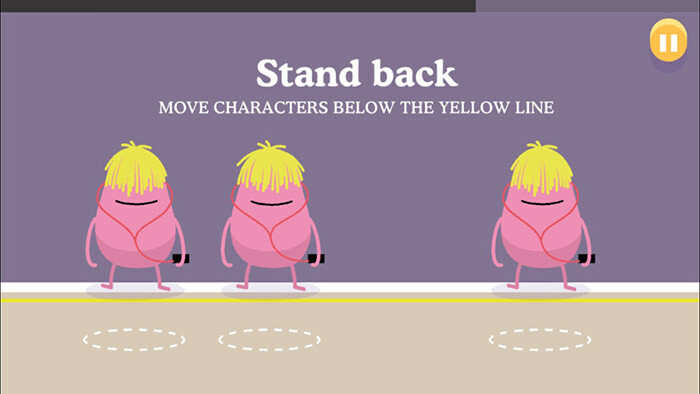 The Dumb Ways to die games has simple levels, but each is so simple and minimalistic that it just becomes so endearingly attractive. The objective of the game: try not to die as any wrong move inside the game gives your gruesome a very gruesome death. What’s not to love?